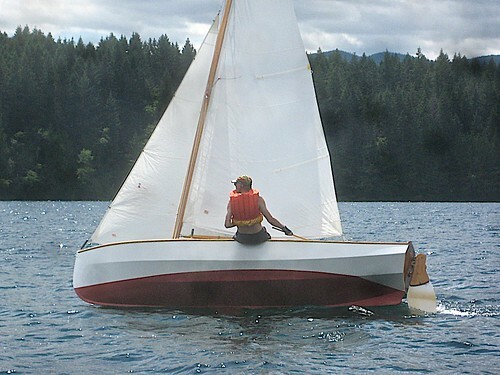 summer 05, the sailboat is in the water again. She was built by Michel Gaudin, of Jespersen Boat Builders, from a design by Paul Gartside. 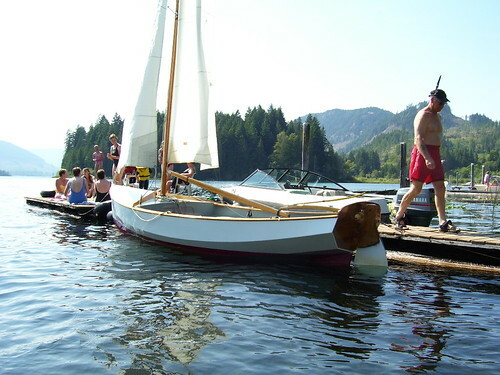 Summer 2005, at Cowichan Lake with a big crew on the float. 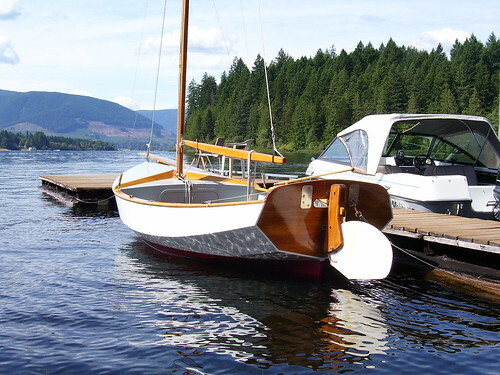 This fine little boat was built by Michel Gaudin, of Jespersen Boat Builders, from a design by Paul Gartside.